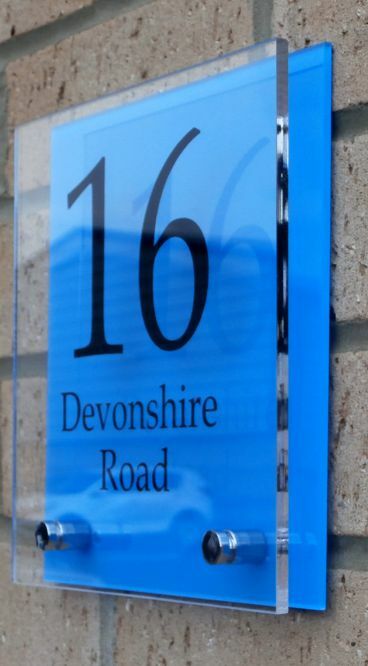 With the fixings positioned at the bottom of the Sienna house sign, you have more space to show off. Give your design a clean frame of colour and it will make all the right impressions. The clear space between the plates provides depth and reflections that add to the Sienna's overall modern look. 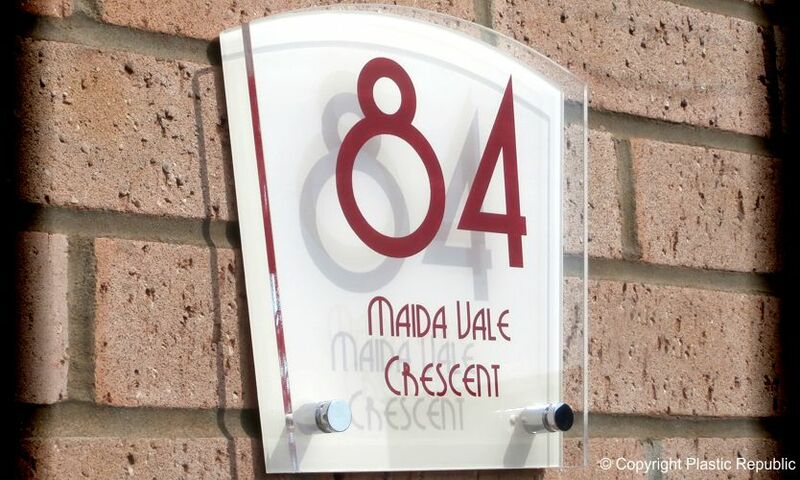 More design tools are available for the Sienna to allow you more creativity when positioning content and with the wealth of colours and fonts to choose from you have everything you need to make a truly unique and modern sign for your home. Ready to create your Sienna house sign? Use the space to position your content for a more unique and individual sign that stands apart from the crowd. Serif type fonts and plenty of solid background colour offer a modern look while more traditional fonts, centred with a matching design shape, provide a classic appearance with a modern twist. Need inspiration? Try One-Click, it's our quick and easy design set-up tool. 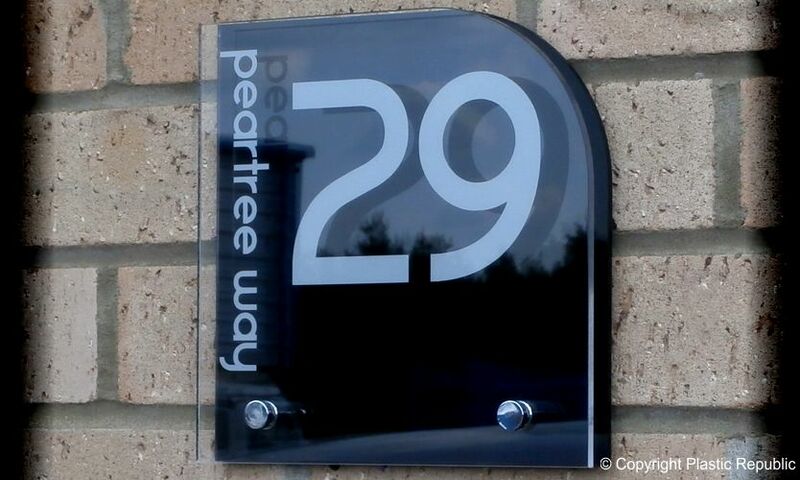 It's as simple as clicking on an image or design you like and entering your house number. Visit the Go Design page to get started. When you spend so long creating the perfect interior for your home, you should be able to express yourself on the exterior too. 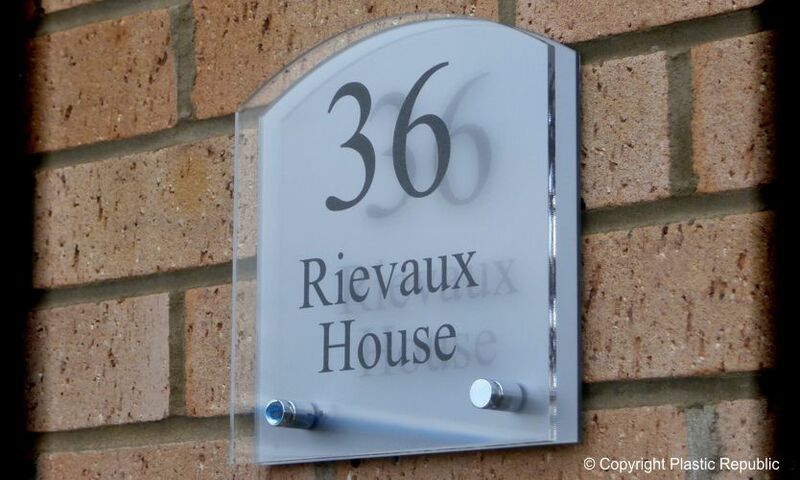 We offer designer house signs in many shapes, fonts and colours that give you the ability to use your flair to create a house sign that reflects your style perfectly. 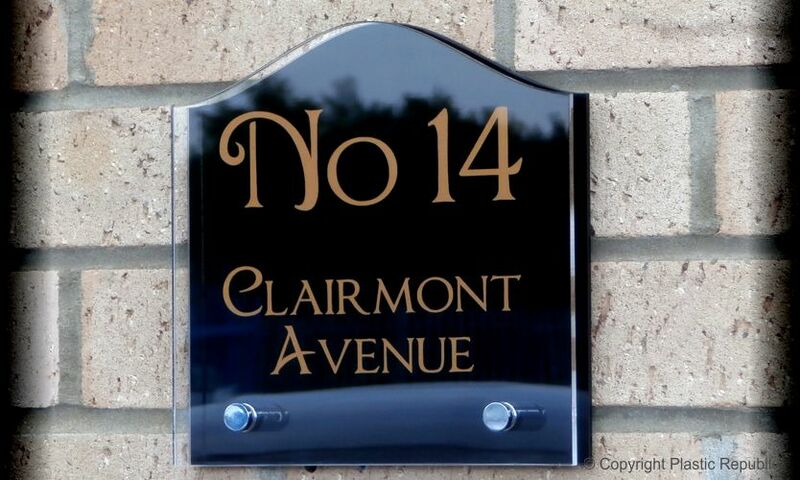 Take a look at our ranges to find a unique house plaque and personalize it to make it your own. 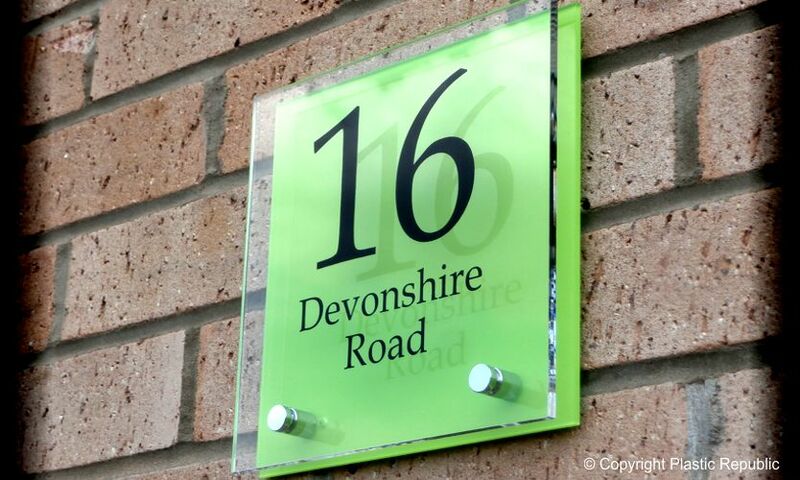 Your chosen design is precision laser cut from quality branded acrylic and the edges further flame polished by hand for a beautifully smooth feel to each edge. 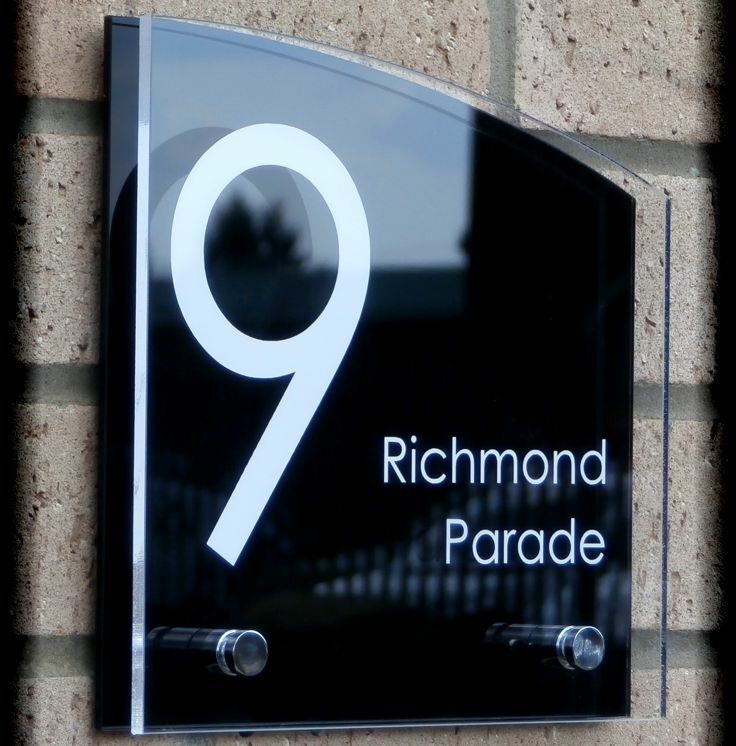 Your design is then accurately recreated and cut from the finest quality vinyl, ensuring durability and colour vibrancy. 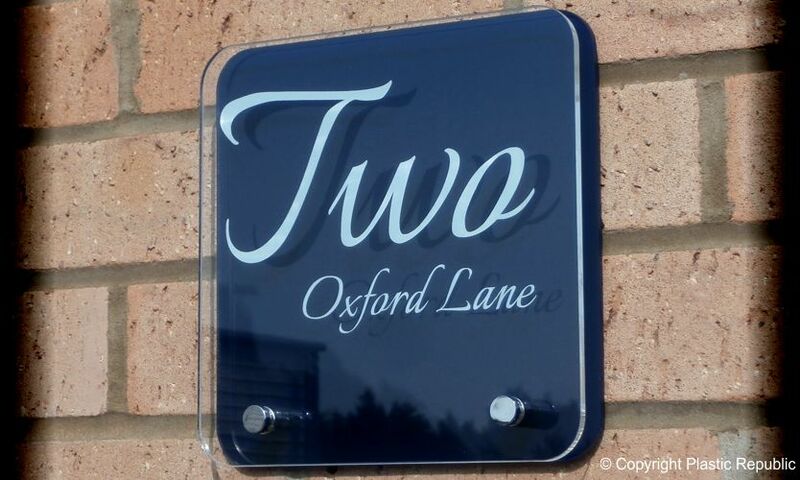 This is carefully bonded to the reverse of your sign's front plate which offers not only protection but a gloss and lustre that only comes from optically perfect crystal clear acrylic. Your finished sign is inspected, cleaned and safely packaged for our ultimate goal of providing you with a quality product that we took pride in making. Clear 5mm Plexiglas acrylic front plate, 3mm Plexiglas acrylic back plate. UV stable. 13mm x 13mm chrome stand-off supports. 4mm wall spacers. Drill hole diameter of 5mm, 5.5mm or 6mm is suitable for supplied fixings. Width 200mm x Height 200mm. 1x designed front plate, 1x coloured back plate, 2x screws, 2x wall plugs, 2x wall spacers, 2x stand-off supports, 1x drill template and instructions.